The picture was created in 1934, when Dali and Gala were first in the US for a visit, which marked the beginning of many subsequent ones. This country has long been interested in Dali and very impressed him on the first trip, in particular, the media gave him a lot of attention, which he so needed and what he so desperately wanted. Dali liked the New World with its capabilities; this is reflected in the picture. 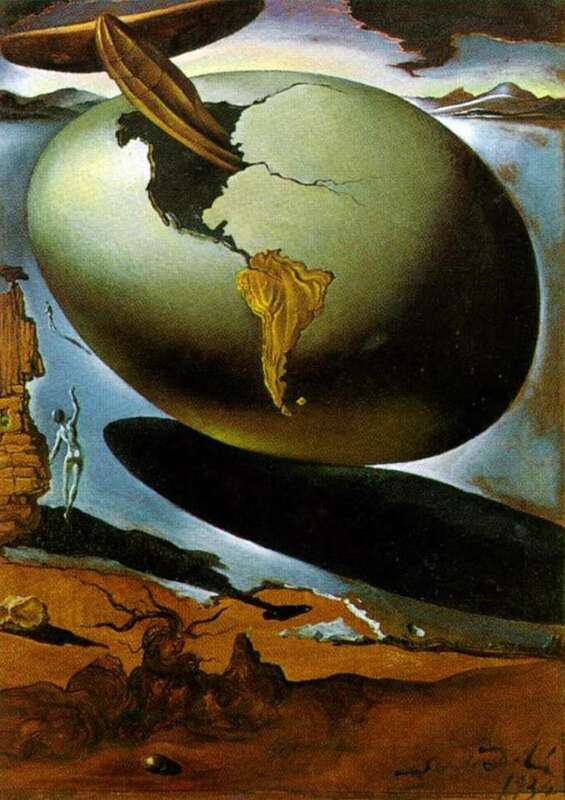 Description and meaning of the painting Allegory of American Christmas by Salvador Dali.